Halloween is coming up and everybody has something to look forward to. Whether it’s your favorite holiday or not, it’s definitely a holiday where everyone can have fun. 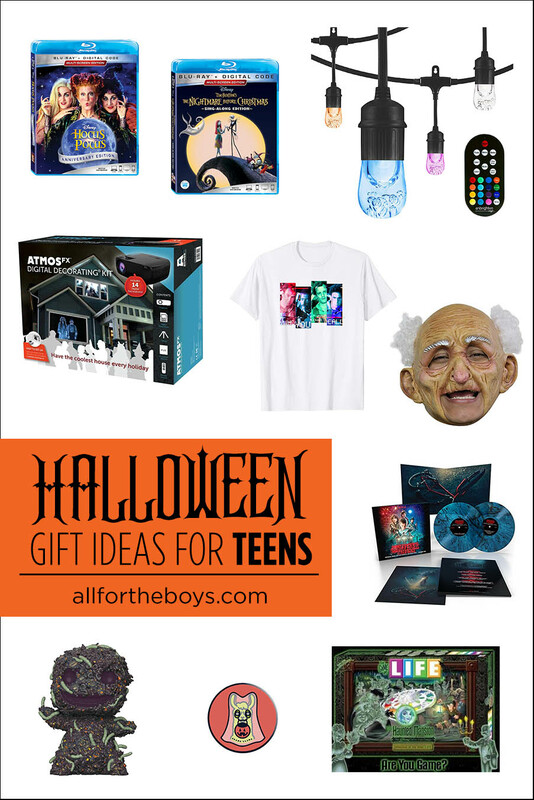 If you have a teen who loves Halloween or want to get them into the Halloween holiday spirit, here are 10 Halloween gift ideas for teens! Hocus Pocus – This Halloween classic is a perfect gift for teens. It’s a great fantasy/comedy that definitely gets you in the Halloween mood. The Blu-ray also comes with a digital code to watch anywhere, as well as loads of special features which is what I like. The Nightmare Before Christmas – If you have a teen who loves both Halloween and Christmas, this is perfect. It has beautiful animation and is the perfect holiday movie. It also comes with a digital code and special features about the making of the film just like the Hocus Pocus Blu-ray. Atmos FX Digital Decorating Kit – The Atmos FX projector is loaded with a bunch of pre-made Halloween and holiday video loops that you can project on a wall or window. 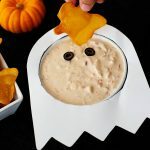 It can also be used as a regular projector for anything, which means it can work for a Halloween movie night! 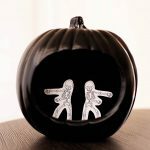 I love how easy this makes it to decorate for Halloween in a really cool way. Plus, you can just leave it out for any holiday or event & put the teens in charge of decorations! Ghostbusters Glitched Group Shirt – This Ghostbusters shirt is super cool. I like it a lot since it’s glitch art inspired and has a cool retro vibrant look. Stranger Things Vol. 1 Soundtrack Vinyl – If you have a Stranger Things fan, the soundtrack on vinyl is perfect. For one it’s a fantastic, atmospheric soundtrack, but it’s also pressed on special blue and black splatter discs. Enbrighten LED String Lights – These lights are awesome for room decorating, and can change colors to add some Halloween flair to a room. Ghoulish Productions Old Man Mask – Even if you’re not going trick or treating, this mask is super funny and a little creepy to wear on Halloween night or to a costume party. And if you’re not doing either of those, it’s still super entertaining to just mess around or take pictures with. Oogie Boogie Funko Pop! – This one’s perfect for the Pop fan or collector. It’s really highly detailed and looks great on a shelf or in a Halloween display. The Game of Life Haunted Mansion Edition – If you want a spooky game night, this game is perfect! It plays just like the original, but it has a few adjustments and is themed to all the Haunted Mansion Rides. Just throw on some Halloween music, set this up and you’re ready for the perfect Halloween game night.